The most credible effort is late out of the gate, while campaign warchests are missing in action. Meanwhile, California lawmakers are rushing to write rules for medical pot. 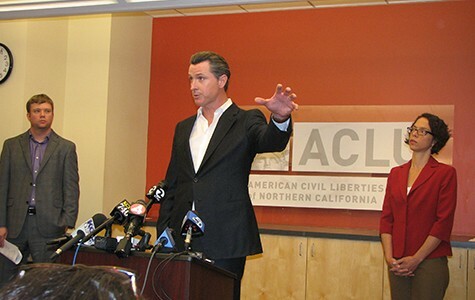 Lieutenant Governor Gavin Newsom has been a vocal proponent of legalization. In 439 days, Californians are expected to cast a historic vote on an initiative legalizing cannabis for recreational adult use. But the text of that initiative and the hard proof that activists have the $20 million necessary to campaign for it have yet to materialize. The California Secretary of State's Office suggested July 7 as the last day to submit a measure to the state attorney general and request an official title and summary for a November 2016 ballot measure. But the leading coalition will not file an initiative until some time in early September, said Dale Sky Jones, chancellor of Oaksterdam University in Oakland and chair of what's referred to as ReformCA — the post-Proposition 19 coalition that includes the most effective, major reform groups: Drug Policy Alliance, Marijuana Policy Project, and the American Civil Liberties Union. Lieutenant Governor Gavin Newsom confirmed that he will lead the ReformCA effort on August 7 on HBO's Real Time with Bill Maher. Newsom is the head of a steering committee for a blue ribbon commission on cannabis legalization that released its findings in July. Incorporating those findings delayed ReformCA's initiative, Jones said. "We wanted to ensure our language was well within the parameters [of the commission's report], so that slowed us down a bit," she said. Collaboration has also slowed down the effort, she added. "We care more about getting the policy exactly right. We realize if we're a little late, it's going to be a little harder. It's going to be worth the extra effort to get it right." Marijuana Policy Project communications director Mason Tvert, who helped legalize cannabis in Colorado, agreed. "I would take a good initiative and three hundred days of campaigning over a sub-par initiative and five hundred days of campaigning — any day," he said. Polls suggest that a majority of Californians support taxing and regulating cannabis like alcohol, but the details of schemes presented to date divide voters. ReformCA hopes to assuage critics on the left and right, but zealous reformers have already begun smack-talking and filing their own initiatives. Moreover, good ballot language is just ink on paper without the estimated $20 million needed to run an effective campaign in a massive state of 38 million people. And according to a search of state records for campaign filings of $5,000 or more to committees supporting ballot measures, as of right now, there effectively is no legalization effort in California. Campaign finance reports for the period of January 1 through June 30 were due July 31. In April, marijuana technology entrepreneur Justin Hartfield parked $1 million in a committee to support a middle-of-the-road effort. But other than that, the Secretary of State's website reports no other substantial donations to legalization committees. Jones of ReformCA, however, said it's still early and there's no reason to worry. "We will have the resources to qualify ... and run a robust, winning campaign," she said. "We haven't started the direct political action portion yet." California is close to getting historic medical marijuana regulations — again. East Bay Assemblymember Rob Bonta's AB 266 is in the Senate Appropriations Committee. A bill made it this far last year before lawmakers balked at its nebulous cost and shape. This year, a committee analysis again questions the bill's $20 million pricetag and the ability of a half-dozen state agencies to work together as marijuana regulators. Personal and caregiver rights to possess and sometimes grow cannabis under Prop 215 cannot be touched under any new legislation. In Bonta's bill, all "commercial" cannabis activity would need a license and "any" pot activity not related to personal or caregiver use would be deemed "commercial." "Collectives" would be banned. Delivery services not associated with a brick-and-mortar dispensary would also be prohibited. Cities would still be allowed to ban dispensaries or cultivation — a provision that advocates hate. However, the industry would be able to legally take profits for the first time. 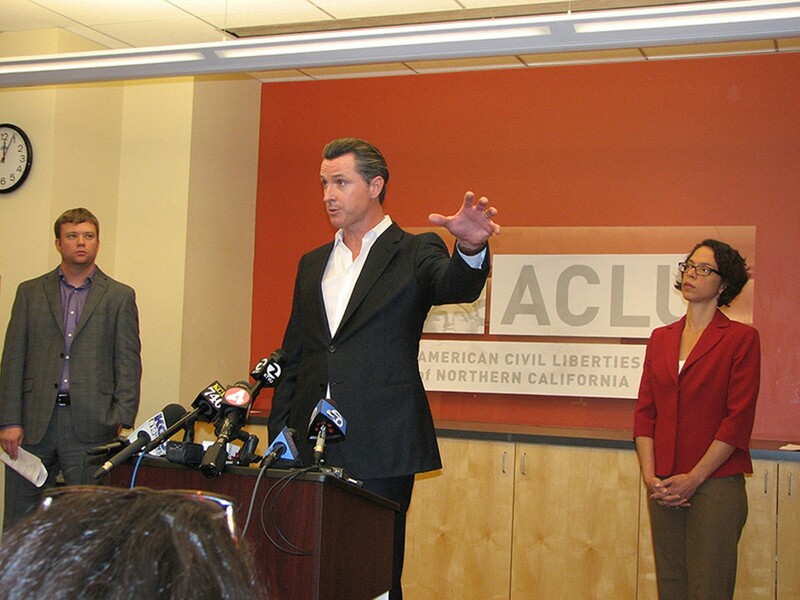 "AB 266 will finally give clarity as to what is legal for local lawmakers, regulators, and law enforcement. That is likely to expand access to communities where lawmakers have been reluctant to move forward without a greenlight from the state," stated Don Duncan, for Americans for Safe Access, which supports the bill. Some pot entrepreneurs also question the proposed tiny caps on farm sizes, and the ban on vertically integrating a farm, processor, and store. Stephen DeAngelo, head of Harborside Health Center in Oakland, called the proposed rules unworkably complex and out of touch. AB 266 also calls for dual local and state licensing that — unlike alcohol — creates structural incentives for local corruption in the permit awards process, said attorney Matt Kumin, for advocates California Cannabis Voice. He said that compared to local officials, "It's much harder to bribe [California's Department of Alcoholic Beverage Control]." AB 266 is scheduled to be approved for a full Senate floor vote or die in committee for the year on Thursday, August 27.